It is in RAW format, 2048*2048, 16 bit greyscale, Windows byte order. The noticeable grid pattern is due to typography and should be eliminated in some way to obtain simple grayscale image (the simplest way is just blur image and reduce its resolution). Great resource, thanks for posting this! I was remaking the Milky Way with this stuff a couple months ago but ran into my limits on editing. I was using both those images plus a combination of another image to try and fill in the gaps and blend it. Haven't finished it yet as I'm doing a lot of other stuff all at the same time but I'll get back to it eventually. Note that the gap cone points exactly to the Sun. The gap occurs due to the galactic center that absorbs radiowaves. 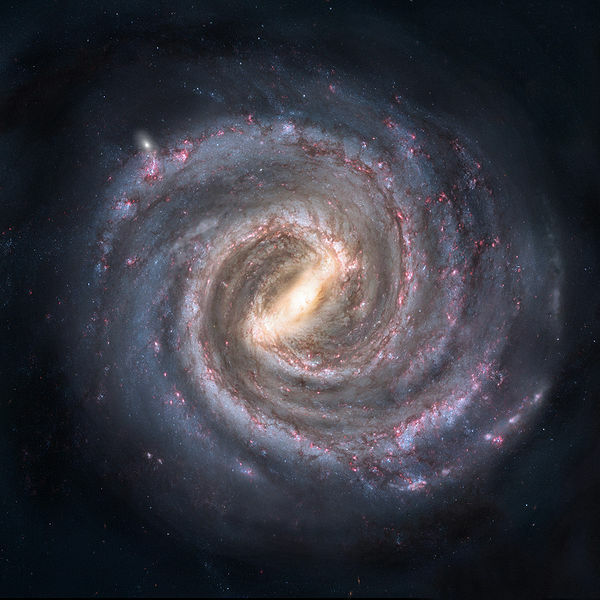 This can be used to precisely locate and orient the new Milky Way model. Question: How do you even open the raw file in photoshop? I either get a blurry mess or a complete noise texture. What setting shall I set in the menu that pops up? I'd like to try mess around with the texture, see what I can get done with it. There is no windows byte order in cs6, only ibm and mac. I'll just use the one you posted in the main post since it's the same thing. Nonono, don't use jpeg from main post, it is a lossy, only 8 bit, and has changed contrast. Spaceengineer... Could you just upload the original version? Kviki, I have converted it to PNG and uploaded it. Thanks alot for the upload. I did just the same settings once more in cs6, doesn't work. Well, is it possible to see a horizontal galaxy with dust and gas and the galactic center just like regular galaxies? Or is this just a view from above and that's it? Anyway what do I have to do to get this in my .png? I'm not quite sure what you mean by this. Anyway what do I have to do to get this in my .png? I'm also not sure what you mean here. Do you mean how to make it into a PNG? SpaceEngineer and I both posted instructions on how to open the RAW file in Photoshop. And since I converted it to PNG and uploaded it as such there is not even any need to use the RAW at all. No, our instruments can do that only for Milky Way, and only in certain wavelenghts (this image is a neutral hydrogen clouds distribution, emitting at the 21 cm wavelength). Thanks, I put the link to the start post. I haven't bothered to do it with the hydrogen texture yet, this was just a test to see what I can do. 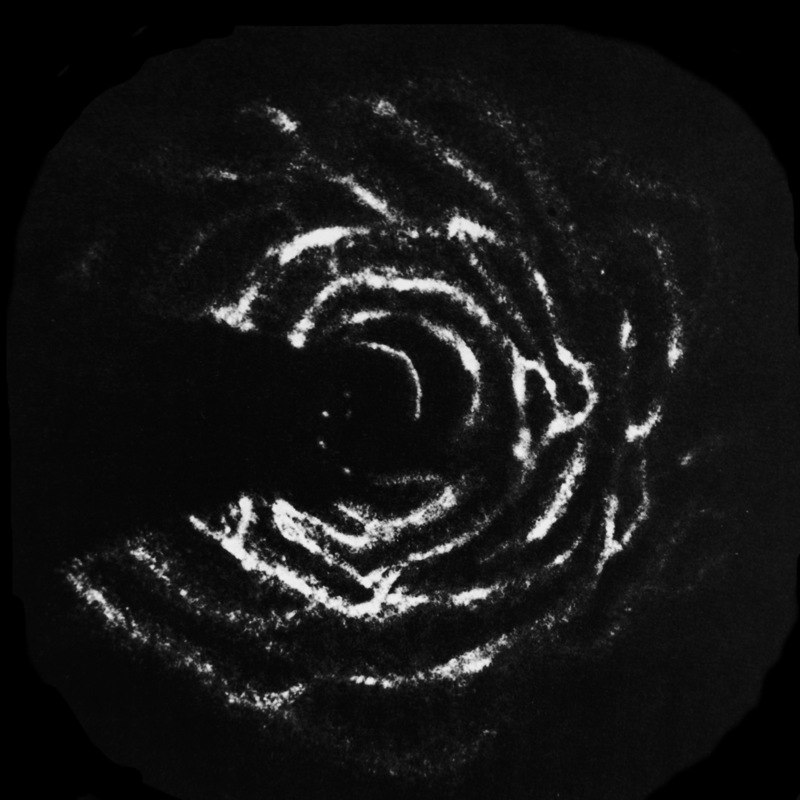 If you think the test image is good enough I can try to do it with so it's based on the hydrogen distribution texture (though it looks rather complex)..